Diarrhea is sometimes called intestinal flu which may last several days. It results due to number of viruses that affect bowel movement and thus lead to liquid stools. This inflammation is usually associated with nausea, vomiting and cramping abdominal pain. There are some other infectious diarrhea which are caused by bacteria. These bacteria usually make bowel movement irritable. Due to this irritation of bowel stool gets liquid form. Cramping abdominal pain is another major factor which cause diarrhea. 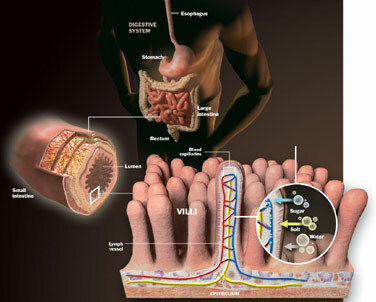 Travelers diarrhea is caused by certain forms of bacteria which are present in specific regions of the world. Diarrhea which is caused by viral infection like stomach virus or any form of bacterial infection may cause vomiting. Mucous and blood may also appear with diarrhea in case if it is caused by bacterial infections. Diarrhea persisting for many days is said to be chronic diarrhea and it can be the sign of any underlying condition such as inflammatory bowel disease or any infection caused by bacteria. Dehydration occurs as a result of diarrhea when a body loss most of its electrolytes.